Can you imagine never being able to choose what you wanted to eat? Or never being taught how to cook for yourself? July 15th is World Youth Skills Day. 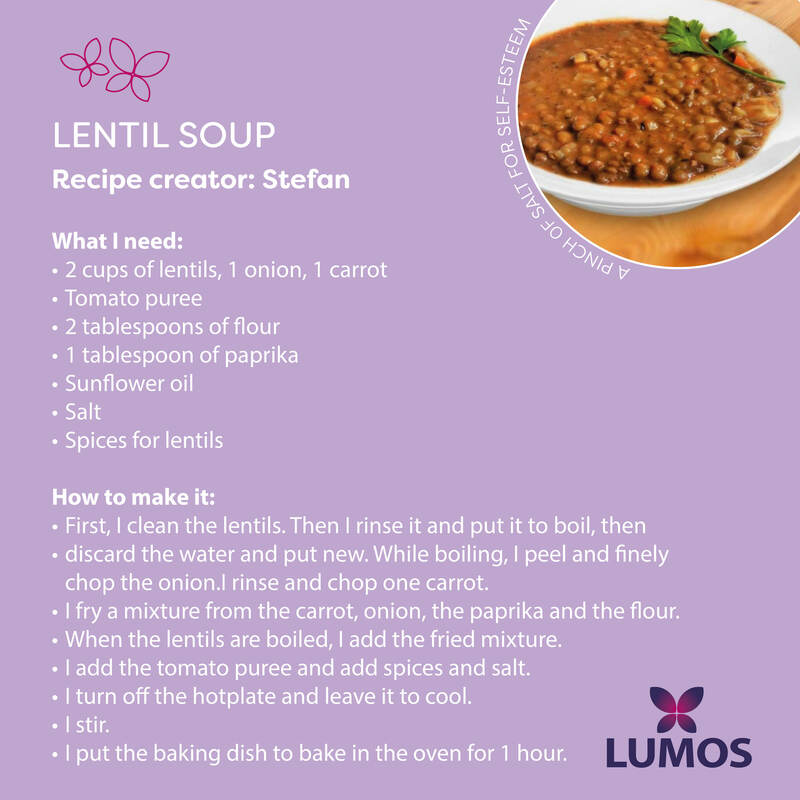 Many of the skills we use in our everyday lives – such as cooking simple meals, or deciding what we want to eat and when – are taken for granted, but children and young people who have left institutions to live in small group homes may have never been taught to cook for themselves. 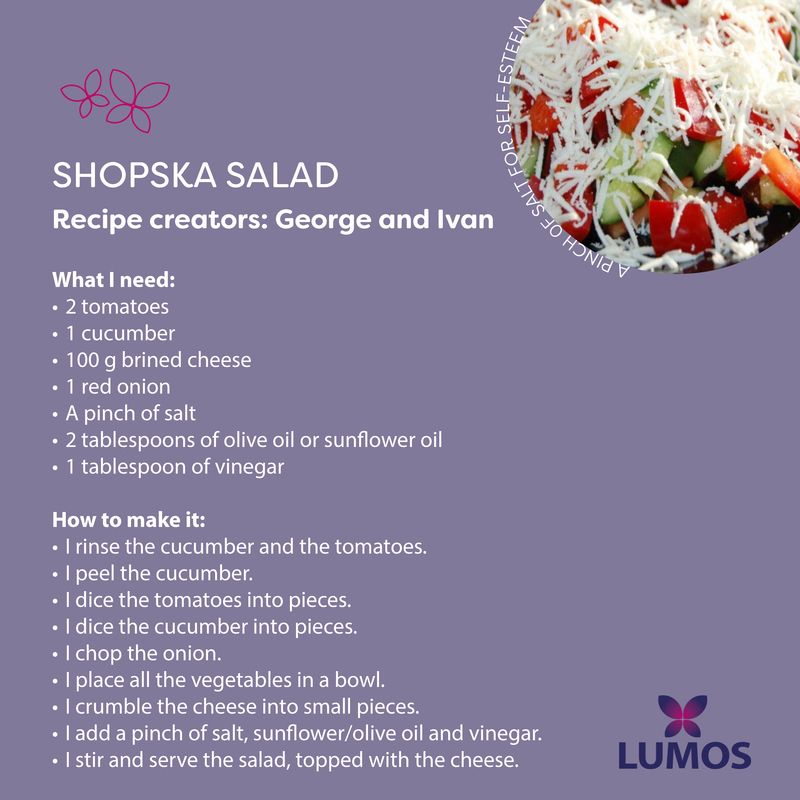 That’s why our Bulgarian self-advocates worked with children and young people from the local community to produce this simple cookbook – A Pinch of Salt for Self-Esteem – in the hope that it might give them the confidence to begin cooking for themselves, and for friends and family. "A Pinch of Salt for Self-Esteem was born from the natural desire of our children and young self-advocates to support their peers in care. 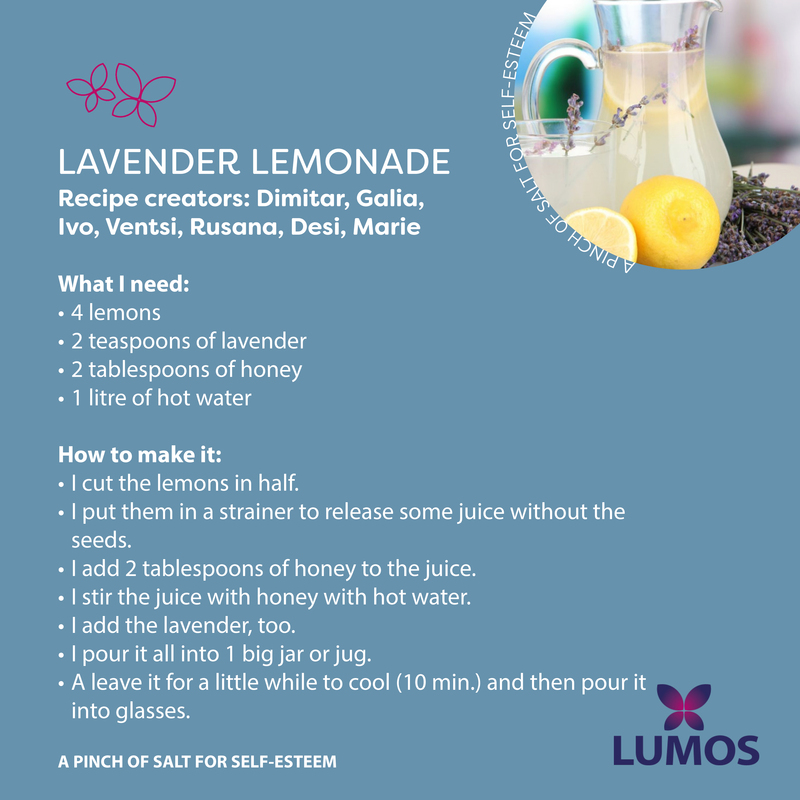 A group of Lumos self-advocates set out to research the extent to which young people in small group homes take control of their own lives, how they make everyday choices, and if adults listen to them or not. One of the realities our children and young people found was the fact that their peers very rarely had the option to choose what they wanted to eat, or to prepare food as they might in a family atmosphere. 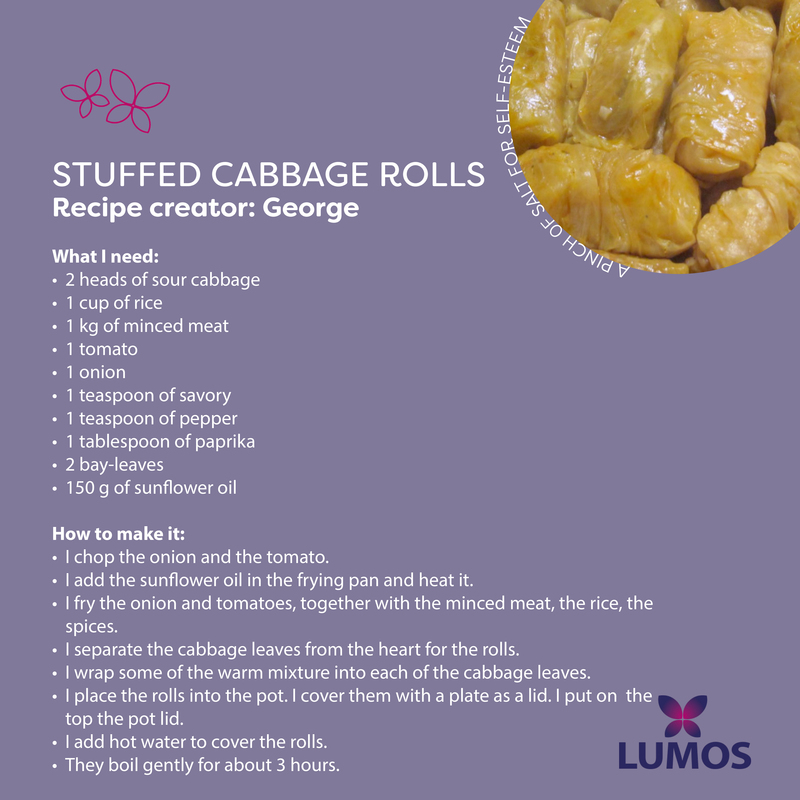 Most of the children in small group homes have disabilities and have no home cooking experience, and cannot cook because nobody has shown them how to prepare even simple recipes. 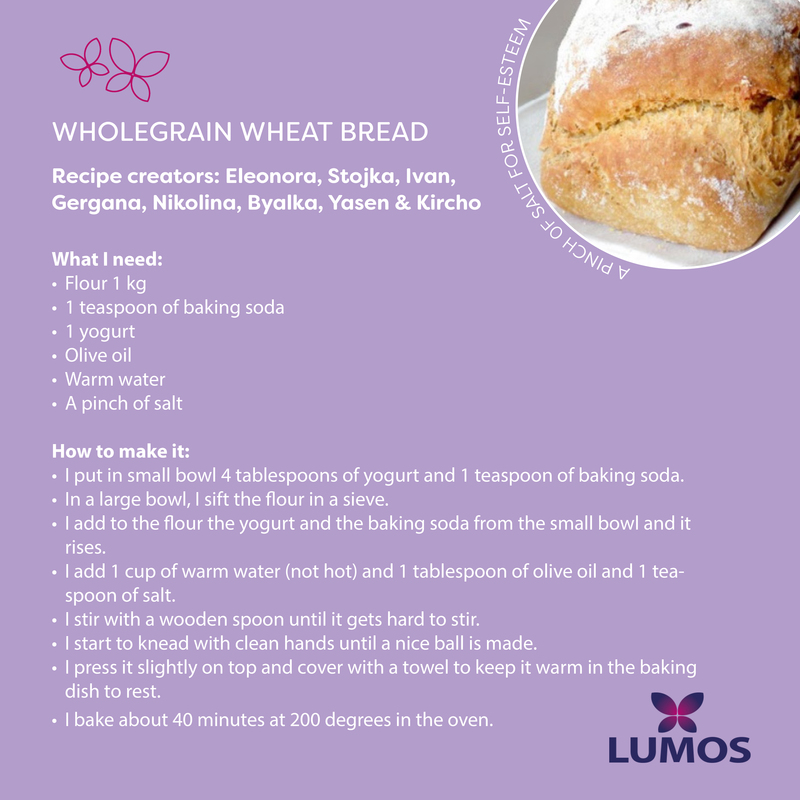 So our Lumos group invited children from the local community and from small group homes on an unforgettable culinary journey! They were so enthusiastic, and inspired the local community. People from local businesses, social services, non-profit organizations, and parents and children with disabilities actively joined and gave their support. Afterwards, they all said that they would be happy to be part of similar activities and children could rely on them in future. What happened during the culinary journey? It started with bread making, and a talk about the history and value of bread. 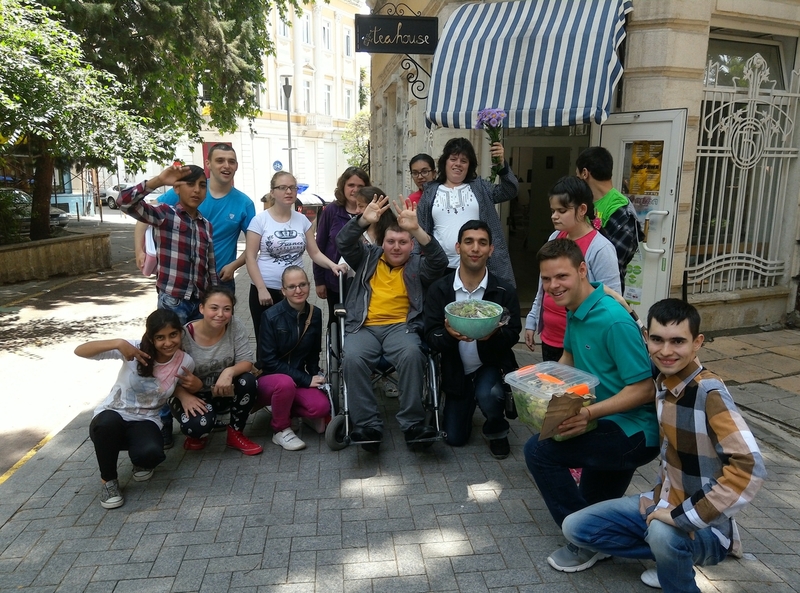 Preparing simple salads, homemade lemonade, baking meatballs, making lollipops, how to behave and order from a menu in a restaurant, having fun and making friends, and sharing food altogether were other lessons stops in just one unforgettable day. Children and young people collaborated and helped each other without any barriers. 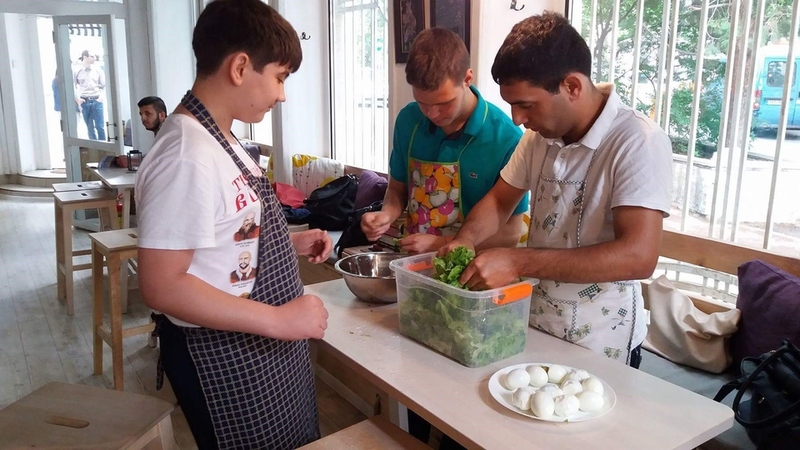 All of them were happy and satisfied to participate in cooking sessions for about 6 months and share skills, recipes and learn more about food. 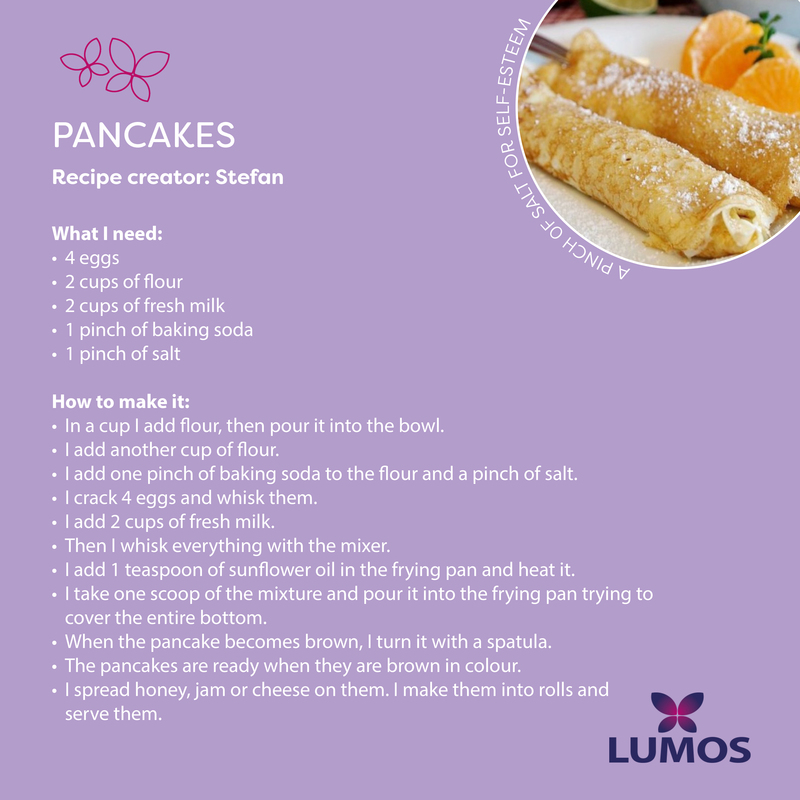 They were as colourful as the recipes they chose and provided for the book – some of them live in care, others live with families and have intellectual or complex disabilities. 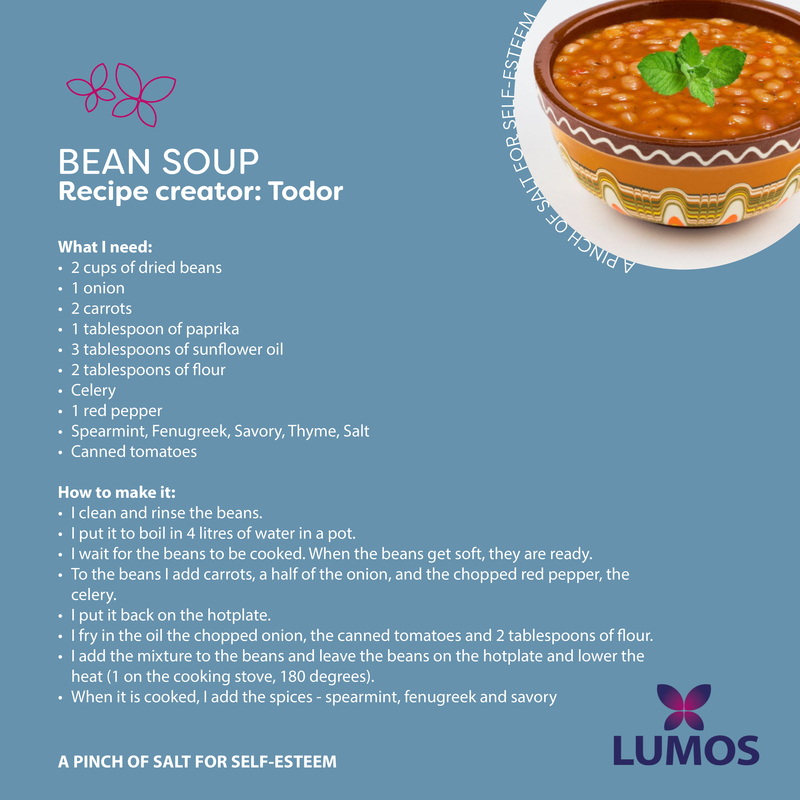 We collected recipes from children and young people, with some practical information about cooking safety and measuring ingredients, and added in some photos from our experience. This book is your guide to learn how to prepare food, step by step, for friends or family - sometimes with a little support from an adult. It is your right to choose what you eat, to be able to cook healthy food, and to share it with people you like and feel happy with. 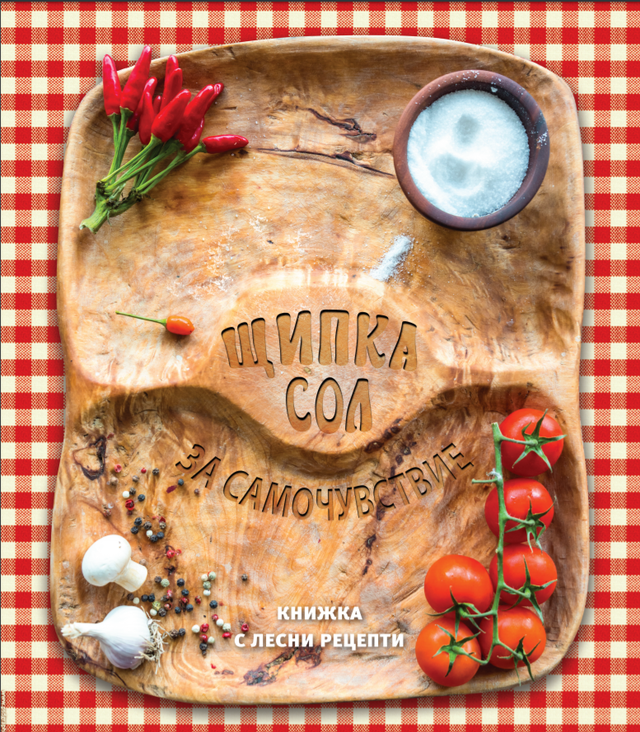 This book is just a pinch of salt for your self-esteem – you are the chef!" 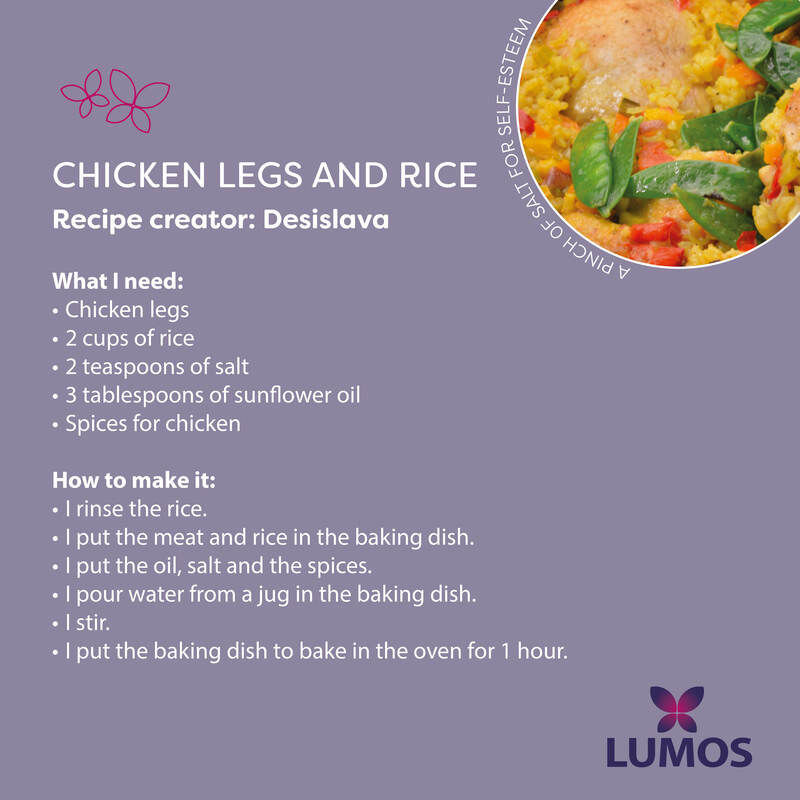 Download our digital recipe cards!